Researchers Are Using Instagram to Monitor Underage Drinking? In the past few years, Instagram has soared in popularity. Now researchers are finding ways to utilize the popular app to monitor the drinking habits of teenagers. Using photos and text from Instagram, researchers are able to expose patterns of underage drinking more cheaply and faster than conventional surveys. They also are able to gain information on new patterns of drinking such as what alcohol brands are favored among different demographic groups. Researchers believe exposing these patterns can help promote effective underage drinking intervention. As we know, Instagram is extremely popular among teens. Large amount of information is readily available about this target population on Instagram. As Jiebo Luo, professor of computer science at the University of Rochester, and his colleagues describe in a new paper, underage drinkers “are willing to share their alcohol consumption experience” in social media. Compared to standard surveys, researchers believe Instagram will be a more accurate method to monitor alcohol consumption. Often, teenagers are not honest when they respond to an administered survey about alcohol use. One example is the “Monitoring the Future” survey by the federal government. The accuracy of results is skewed because of the small size of the representative sample. Also, the answers may not be answered honestly by teens who are worried about divulging the truth. Although Instagram does not offer a way of searching users by age, the research team was able to target users that fit their profile by applying computer vision techniques. Luo and his team have been pioneering techniques that teach computers how to extract information from the internet. They are able to use computers to analyze the profile faces of Instagram users and get sufficiently accurate guesses for their age, gender and race. After the computer gathered a group of underage users to study, the researchers monitored drinking related activities via their Instagram photos by analyzing social media tags and monitoring the alcohol brands the users follow. The study revealed that underage alcohol consumption, like with adults, happens on weekends and holidays and at the end of the day. The drinking is not limited to one specific gender. Both female and male teenagers were engaging in drinking at similar ratios. However, when it came to alcohol brands, the results varied. Different genders followed different brands. 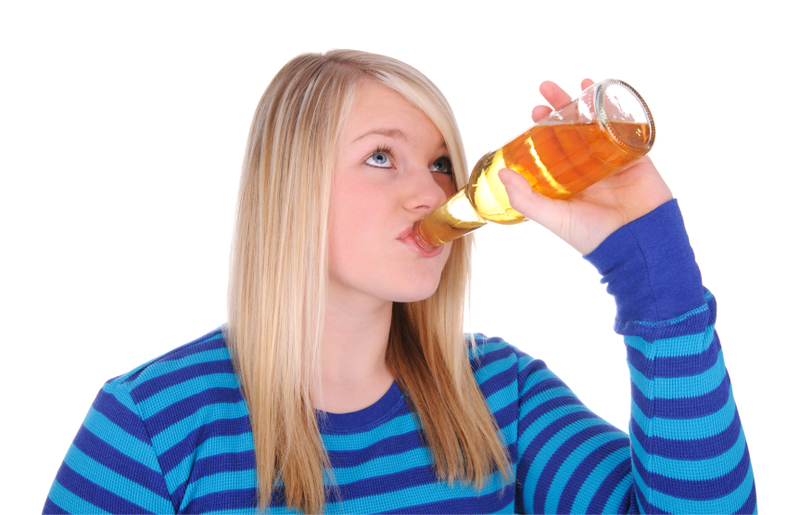 Also, teenagers tend to drink certain brands of alcohol more commonly than adults. Researchers found that certain brands attracted younger audiences in social media. This information could be useful for people working to prevent underage drinking. The researchers hope that information like this is used in a positive way to address the problem of underage drinking. They are worried though that the information could be used by brands to target these underage drinkers. The next important step is to collaborate with people who are working to reduce underage drinking and collaborate with professions who are working on addressing other youth problems such as tobacco use, drugs, teen pregnancy, stress or depression. Utilizing social media to prevent and tackle underage drinking could be an effective intervention tactic. How do you feel about it being used?